I have bought the car at a boring rainy day in my vacation (Punta Cana) from Ebay. 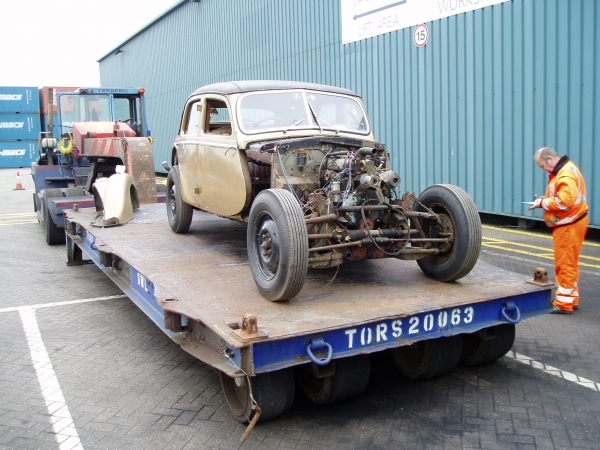 The car was transported with the Company Car Storage Scotland from Scotland to Immingham. 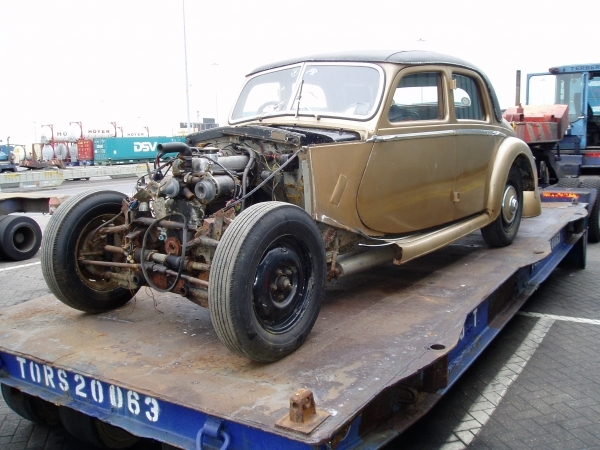 A faulty information gives me a long trip to Rotterdam for the collection of the car. Unfortunately the car was not on board which gives me a happy trailer journey back to Hamburg. Than I decide to let the car go the Esbjerg where I have done the Collection with the trailer. The DFDS ferry line gives me no credit for the horrible trip to Rotterdam and back to Hamburg. I cannot recommend this company but i can recommend the Company Car Storage Scotland which has done a great job at attractive pricing. The car is in very very poor condition. It will take me 1 year or more to do the work. I think about a head of conversion. Anmelden | 57 queries. 0,288 seconds.